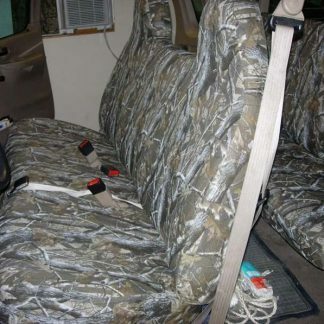 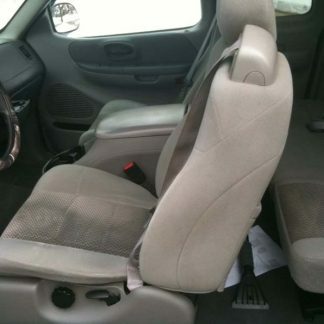 Seat cover is three pieces, Driver bottom, Passenger bottom, and Top. 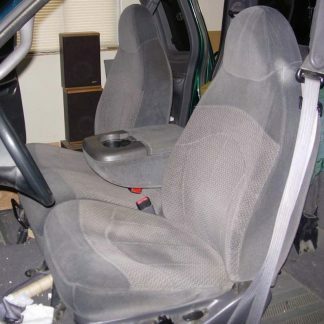 40% Driver seat bottom, 60% Passenger bottom, solid bench backrest. 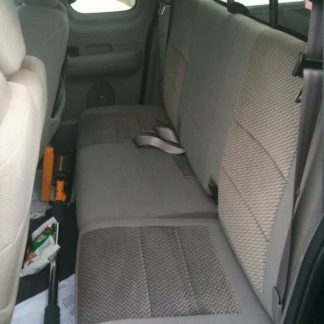 Fits: Super Cab rear XL and XLT.